in the vineyard from the healthy and natural vines. Greece rekindled the Olympic flame by hosting the first modern international Olympic games. It was also the year when the Giannikos family planted their first vines in the rich soil of ancient Mycenae, the birthplace of Greek viticulture almost 4,000 years ago. Exactly one hundred years after the foundation of the estate, a devastating fire burned the old buildings to the ground. 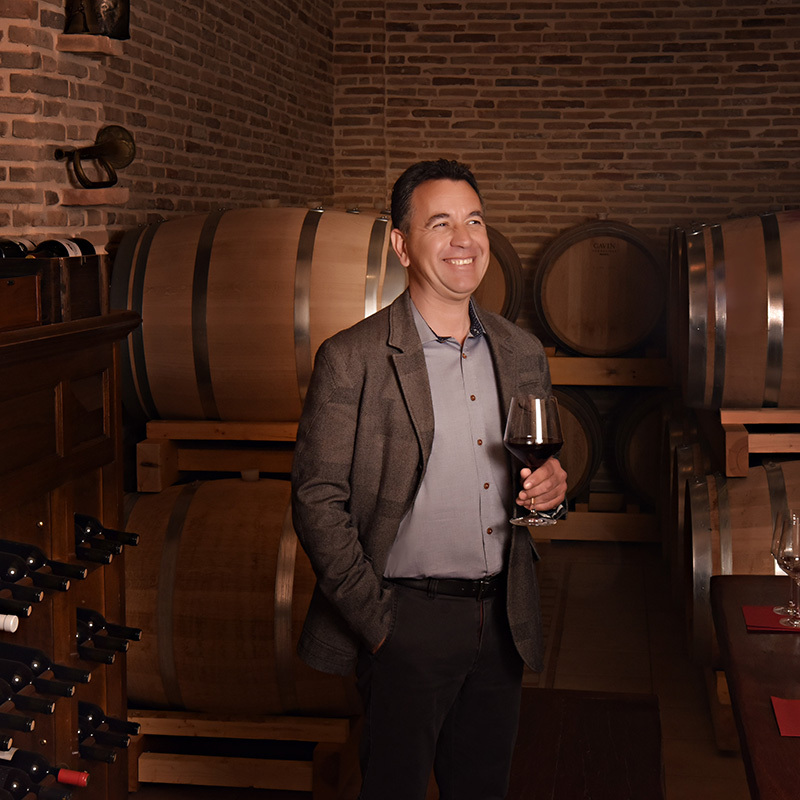 Driven by the enthusiasm of youth and the legacy of his ancestors, Michalis Giannikos regenerated the independent family business, built a modern winery on the slopes of Ancient Corinth and planted more vineyards. The Giannikos Winery was reborn. After continuous modernization of the winery and the close cooperation with an experienced oenologist, the quality of our wines reached a new level and the first exports of Giannikos wines where made. The methodical and precise work of the last years paid off and we received, for the first-time, gold and silver awards at an International Wine Competition. The success continues until today, having won several awards for all of our wines at wine competitions around the globe. With our focus on single varietal wines we are able to show the greatness of the indigenous Greek varieties but also the high-quality wines international grapes in Greece can produce. Today we are considered one of the leading organic wineries in Greece with worldwide exports. Having grown up in the vineyards, olive and orange groves of Mycenae and Corinth, I decided to follow my ancestors and to continue the work in the vineyards but with a modern approach. From a young age on I was impressed by the century long history of wine making in our region and the different style of wines, aromas and tastes the Greek grape varieties can produce. The unique microclimate and terroir gave me the opportunity to make improvements in the vineyards. As a result, I switched to organic cultivation and became one of the first organic wine makers in Greece. At the same time, I started to experiment with international grape varieties. I wanted to see how they behave in the Greek climate and what benefits can arise. Pleased with the results I decided to continue with Greek and international varieties. From the beginning my intention has been to produce fine organic wines and I continue the work in the vineyards and the winery to improve our wines for an unique and tasteful experience. We own 8 ha of vines on two sites, one in Corinth around our winery and the other in Mycenae, near the famous archaeological site and birthplace of Greek viticulture almost 4,000 years ago. Both vineyards are cultivated strictly organic because we are convinced that only naturally grown vines can produce healthy grapes that are the base of our quality wines. Another shared aspect is the influence of the sea to the microclimate. The cooling winds together with the Mediterranean sun and the soil provide the best conditions for our indigenous and selected international grape varieties. Greece has a rich heritage of indigenous grape varieties. To honour this heritage, and because of the strong characteristics and local attachment, we have planted three Greek varieties. The unique Roditis, Agiorgitiko, an ancient variety exclusive to Nemea and the re-discovered Malagouzia. 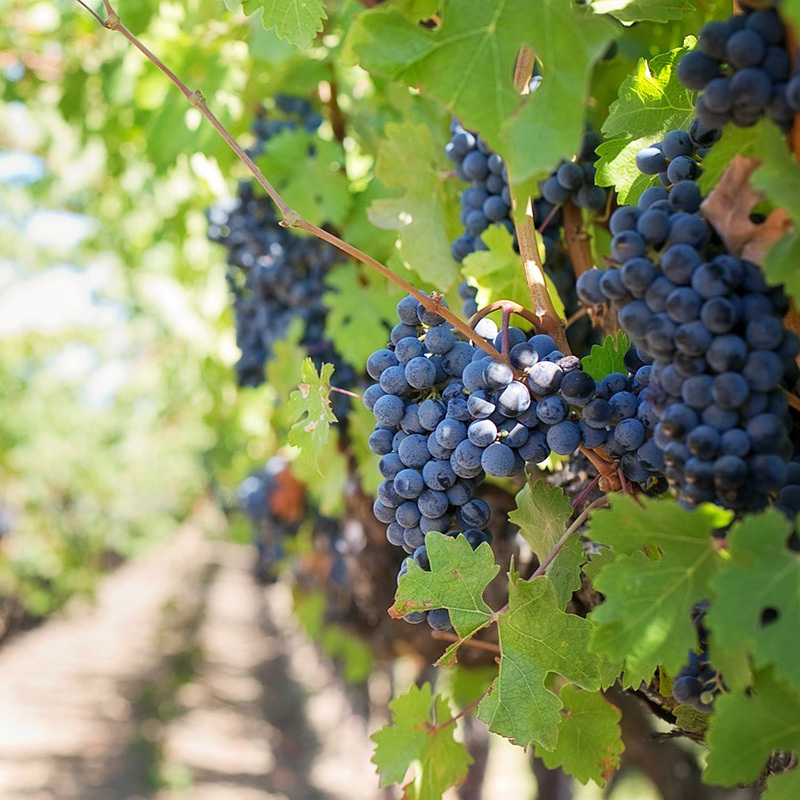 In addition, we work with the international varieties Cabernet Sauvignon, Merlot, Syrah, Chardonnay and Viognier, selected from the best clones direct from French nurseries. Our philosophy is to unite tradition and new technology. That is why we cultivate organic and harvest and prune carefully by hand. In the winery, we use modern steel tanks, state of the art machines and French oak barrels from selected manufacturers.